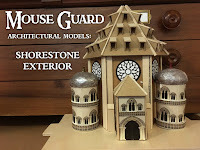 The exterior model of Shorestone was one that I made when drawing the last issue of Black Axe. It's made of cardboard, chipboard, basswood, paper, and aluminum foil. 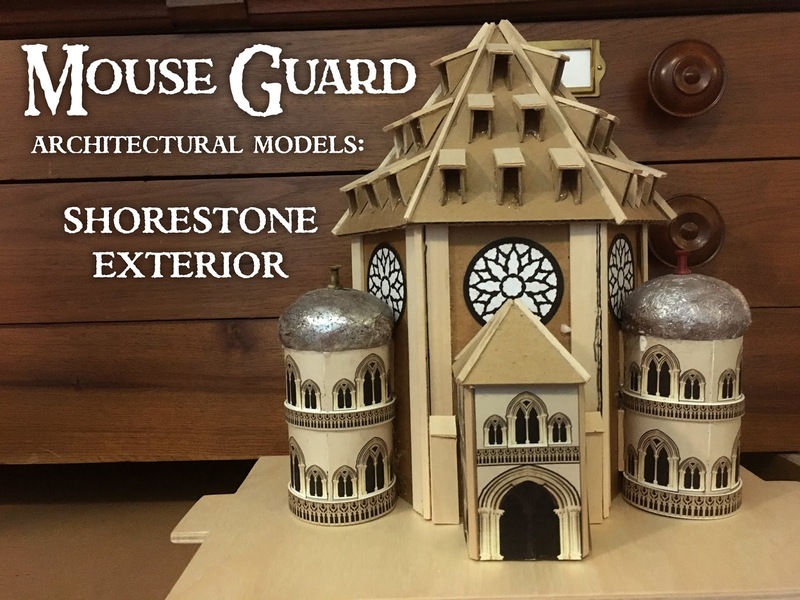 In the video below, I talk about building and using the model to show the height of Mouse Architectural pride.